You know how much our family loves us some pizza! I really do enjoy making it from scratch and it really is easier than you think. 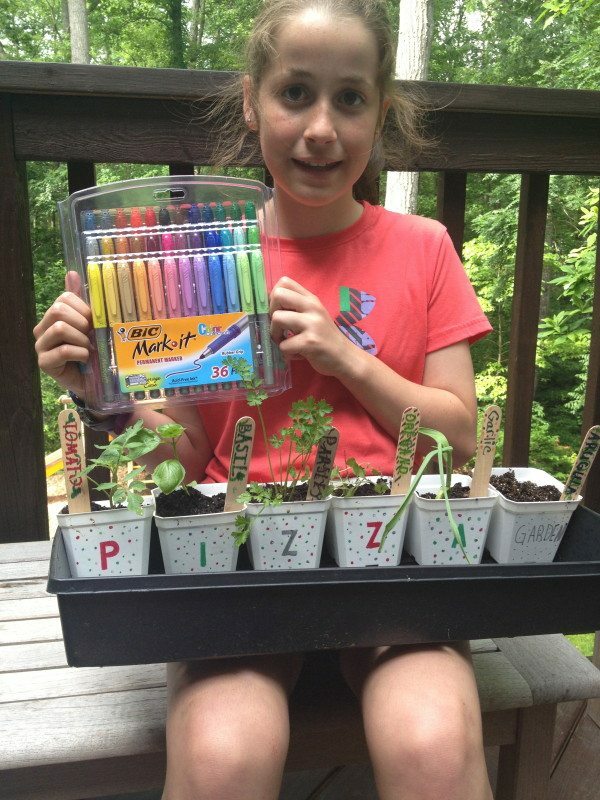 So when given the task by Smiley360 to make a herb garden using BIC Mark It Permanent Markers ,pizza Herb Garden was the first thing that came to mind. 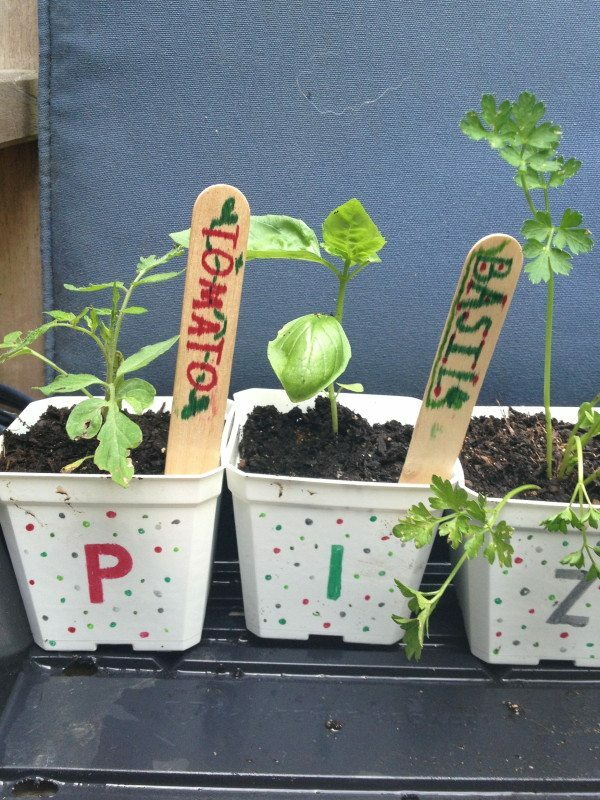 I am going to share with you how easy it is to make pizza herb Gardens that you can keep for yourself or give as a gift. The gift of food is always welcomed. Smiley360 provided our family with all the materials to make this specific craft but you can make a pizza herb garden in a pre made garden space or a large single pot as well. My 11-year-old really got excited about this project. I think she was cooperating so easily as she is really eyeing the 36 pack of Mark It pens. Who really needs that many but the colors in this pack are incredible. You know the feeling when you open up that large crayola box, the one that used to have the sharpener attached. Well I had the same feeling, not sure what my daughter was relating to. She just decorated each individual pot with the letter P I Z Z A and added her little “Italian” touch as she says. We then made our planter sticks which are especially helpful if starting from seed. Here are our recommended hers to use in your pizza herb gardens. Tomato Plant--will move when larger, tips on growing tomatoes. For easy mobility I placed them all into a used plant flat I had. These plants would also do nicely together in a large planter or container with lots of sun or in a herb garden in the ground or raised bed gardens. 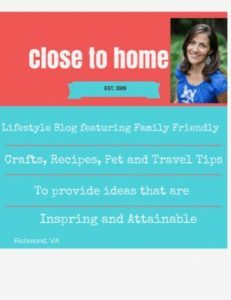 I hope you get some inspiration from this post and create your own pizza Herb gardens and teach your children where food comes from!! Plus fresh herbs will last all season long and some into next year. This would make a fabulous Hostess gift, teacher gift or even Father’s Day gift for the cook. To learn more about Smiley360 and their missions Click here! What herb gardens theme would you create for this project? Awesome idea, I bet she had fun! This is adorable. You’re going to need a much bigger pot for your tomatoes though once that plant starts growing! 🙂 I love this idea. What a great way to get kids excited about gardening. Some herbs will tolerate a sunny window indoors if you want to try some that way. That is totally cool. I love those markers too. I think I like them even better than Sharpies…OOPS did I say that out loud? What a great idea! I love the way you labeled the plants and containers with the markers! I look forward to your pizza post!